Visual Data. With big data ever so present, 2017 ushered in more ways to visualize data. Analysts and data providers invented tools making it easier to understand the stories that data tell. Beyond infographics, there were more user-friendly tools and accessible platforms introduced (like Google Data Studio). And data visualization start-ups that came on the scene (like Now Looker and Graphiq). Live Streaming. 2017 was the year when live streaming became a leading way to connect. At first, it was just something new to try, simply out of curiosity, but it quickly became one of the most viable ways to interact and spread a message. Augmented reality. AR became a buzz word that kept popping up everywhere. From AR headsets like Facebook’s Oculus and Google Glasses to AR apps that made it easier to interact with the world around us in fun and functional ways. 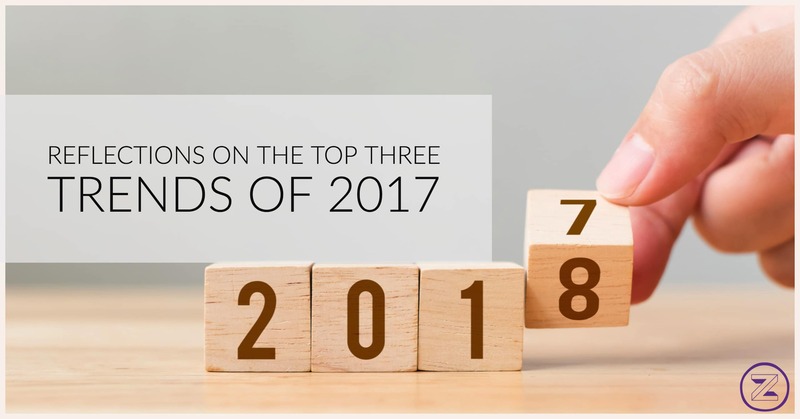 We can wait to see how these trends evolve in 2018, how about you?